Description:This is THE fuse book. Some shell books have a few pictures and a little information but not nearly to the extent of this book. It is still shrink wrapped. As far as I know it is the only book written on just fusing for American Civil War projectiles and is no doubt the definitive work. When people refer to "the fuse book" this is what they are talking about. It has a wealth of great information and images. 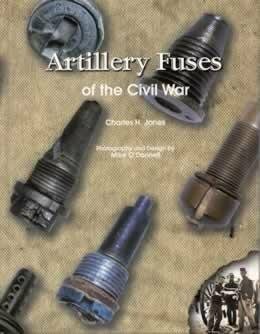 There are a good number of fuses not shown in any artillery book. These were printed in pretty limited number and they don't show up very often. If you are into artillery you need this book!